There’s a myth that all customers need to be visited at a specific time and they all specify a very precise arrival time. Most businesses have flexible and broad time windows for deliveries. For example, they could indicate that 4 to 6 am is appropriate for loading. And, they could say that 9 to 5pm is acceptable for deliveries. You don’t need to run your business like Uber does. But, you could still deliver at the times your customers prefer and within the time windows. And this is what vehicle route planning software helps you do. Read on to learn how such software can help you streamline your delivery process. Are you serving consumers or businesses? To ensure that you meet all the time windows, you must differentiate the types of customers. You need to think about the needs of each type of customer. Are they recurring customers at some predetermined interval? Are they different customers with dynamic requirements each day? So, if you sell office supplies, your clients will need new products after a certain interval. For example, they may need the products every week or so. But, if you’re in the food business, your customers and their demands would change daily. Also, you can split your customers 50/50. You can then divide the time and deliveries accordingly. For example, you can deliver to businesses between 9 and 1 pm. And, you can deliver to consumers between 2 and 5 pm. Businesses may need more time for the offloading than consumers. This is because of the volume of products being offloaded. So, having a dedicated time window for business customers would be useful. It would also help you to estimate the time required per stop accurately. You can then arrange drivers and plan routes accordingly. In this way, the time spent at stops will not impact the delivery to consumers. Even though you can do all this with pen and paper, you can’t execute it well. It’ll only make your entire route planning and delivery process messy and inaccurate. The painful truth is that you need to invest a lot of hours in planning before focusing on your core business. And…. you can’t afford that. Period. So, you need tools that can turn your plan into an action-driven reality. One such tool is routing optimization software. Set the number of hours each driver can deliver. You can also assign routes to specific drivers. For example, drivers who specialize in dynamic requirements can be assigned exclusively to consumer. And, the other drivers can be assigned to business deliveries. 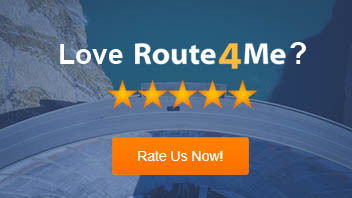 In this way, your vehicle route planning process will be streamlined and systematic. It’ll also save you a lot of time, effort, and money. Moreover, you can do all this directly in the software. So, you don’t need to manually update each driver or keep a record of the specialist drivers. 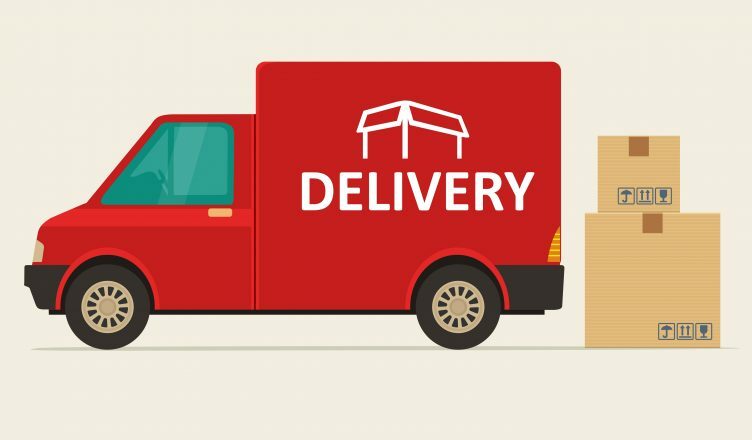 Customer demands can change at any time, so you might plan a well-optimized route to ensure that your deliveries are made on time. A customer could suddenly ask for an urgent delivery. And, this does not necessarily conform with the time you scheduled for them. It’s hard to satisfy on-demand requirements if you plan routes with pen and paper. This is because you won’t have any idea as to where you drivers are at that exact moment. And, when you don’t know where they are, you can’t send them to the immediate delivery. You can’t call and check on their status either. If you have multiple drivers, how many calls would you have to make? And, more importantly, it won’t be safe for your drivers to take a call while driving. Well… fleet route planning software can make your job easier here too. It offers a GPS tracking feature that helps you monitor your drivers in real time. So, you can see who is closest to the customer who needs an immediate delivery. You can then reroute the vehicle, as required, by simply adding the destination. The software will do the complex calculation for you. But, it’s not just about on-time demand. Route optimization software can also help you with planning routes for broad time windows. 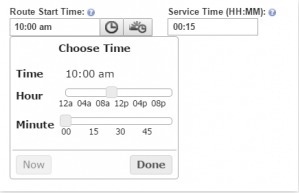 You can set the route start time, define the service time per stop and set the time before the drivers hit the road. This not only helps the drivers deliver on time, it also protects you from any legal hassles. Such hassles could be due to violations of the Hours of Service rule of FMCSA. According to this rule, each driver can drive a maximum of 11 hours. You can’t track such an amount of hours when you plan routes manually. 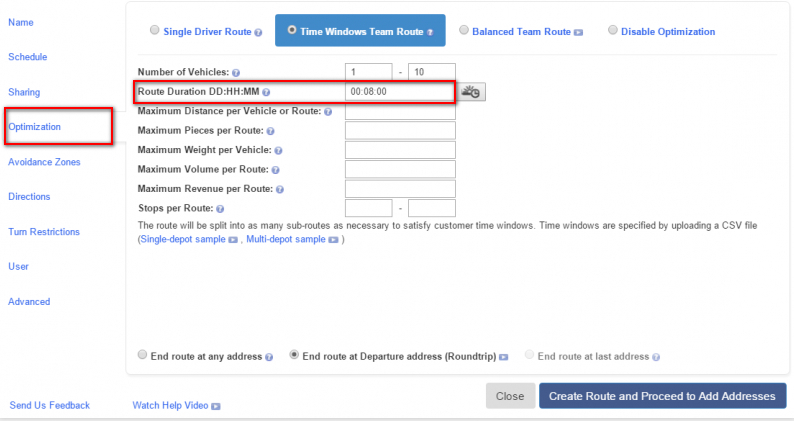 But, with route scheduling software, you just need to set the route duration. The software will then optimize the routes accordingly. In this way, your drivers don’t need to work beyond the maximum number of hours. So, how do you streamline your delivery process? Do you have any questions? Please feel free to leave your comments below, we would love to hear from you.